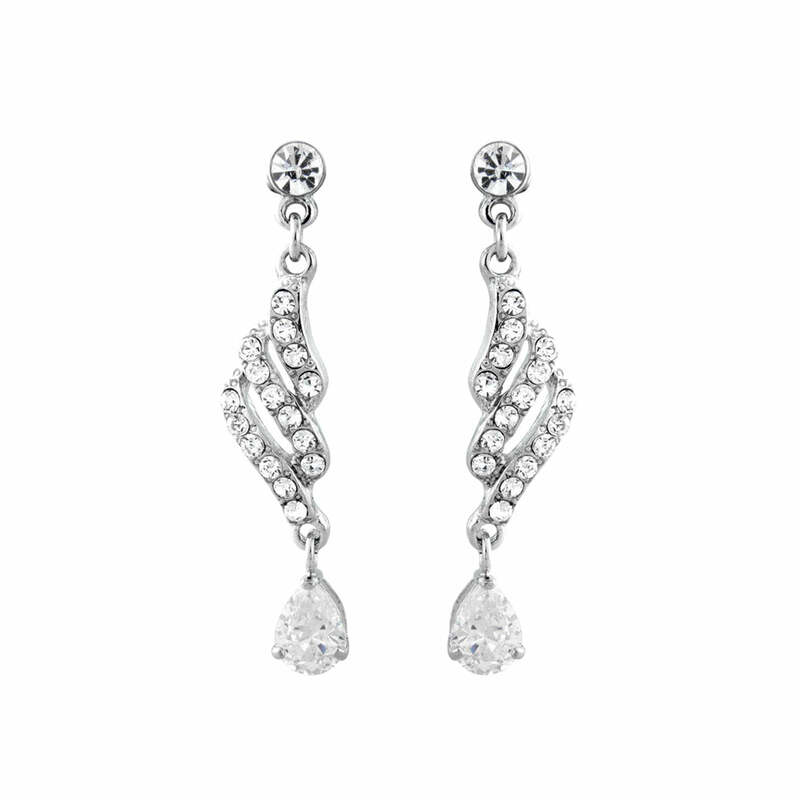 Timeless sparkle - these 1940s crystal drop wedding earrings are simply divine. Classic and chic, our Timeless Beauty Earrings capture the elegance of precious diamond earrings worn by the iconic Silver Screen Starlets of 1940s Hollywood. With a sparkling Austrian crystal enrusted drop leading to a pear cut crystal, this sparkling pair feature an opposite design which frames the face with subtle glamour. The versatile length ensures these drop earrings look divine worn alone or with coordinating Timeless Beauty Necklace for true Starlet style. Sensational bridal earrings for the bride who loves delicate vintage jewellery from 1940s Hollywood, they add the perfect finishing touch to all styles of wedding gowns with effortless grace.